A member of the JMA Journal Advisory Board, Tasuku Honjo (Distinguished Professor of Kyoto University Institute for Advanced Study) was awarded 2018 Nobel Prize in Physiology or Medicine on October 1, 2018. Professor Honjo has won the Japan Medical Association (JMA)'s Supreme Distinguished Service Award this year and will deliver a special lecture at the 71st Anniversary of the JMA Ceremony and Medical Congress, held at the JMA Auditorium in Tokyo on November 1, 2018. 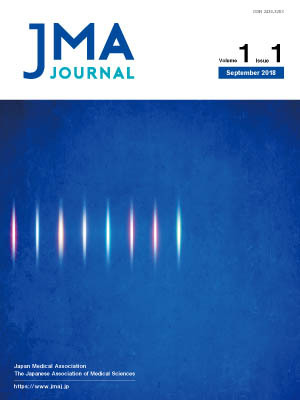 All members of the JMA Journal Editorial Staff would like to express our heartfelt congratulations to Professor Honjo for the recognition of many years of his research efforts and achievements. Tasuku Honjo – Interview. NobelPrize.org. Nobel Media AB 2018. Wed. 3 Oct 2018.